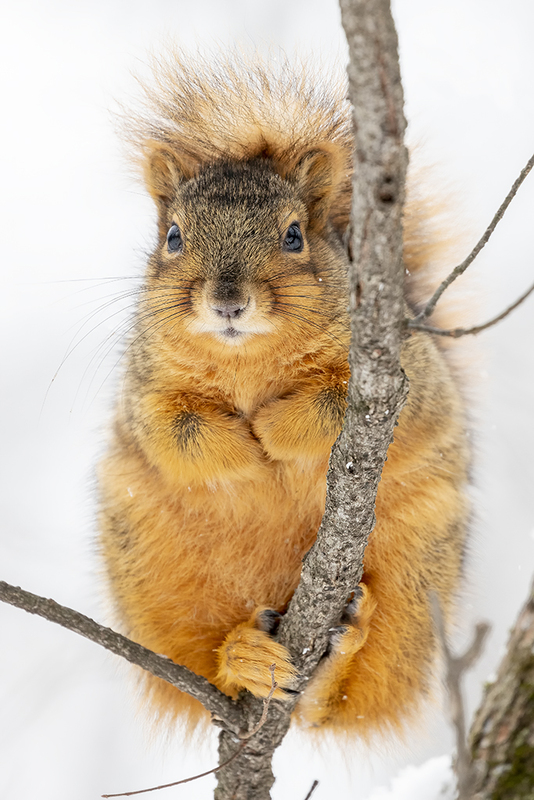 What a beautifully colored squirrel- handsome and polite, I'd say. Lovely picture of the little rascal -like the tucked in front paws. This one does look prepared for winter with those furry mitten forepaws. A pretty colour and nice alert expression. Drew, nice detail and cute pose. And a very nice specimen of the Fox Squirrel. I agree, the tucked in paws are a bonus.